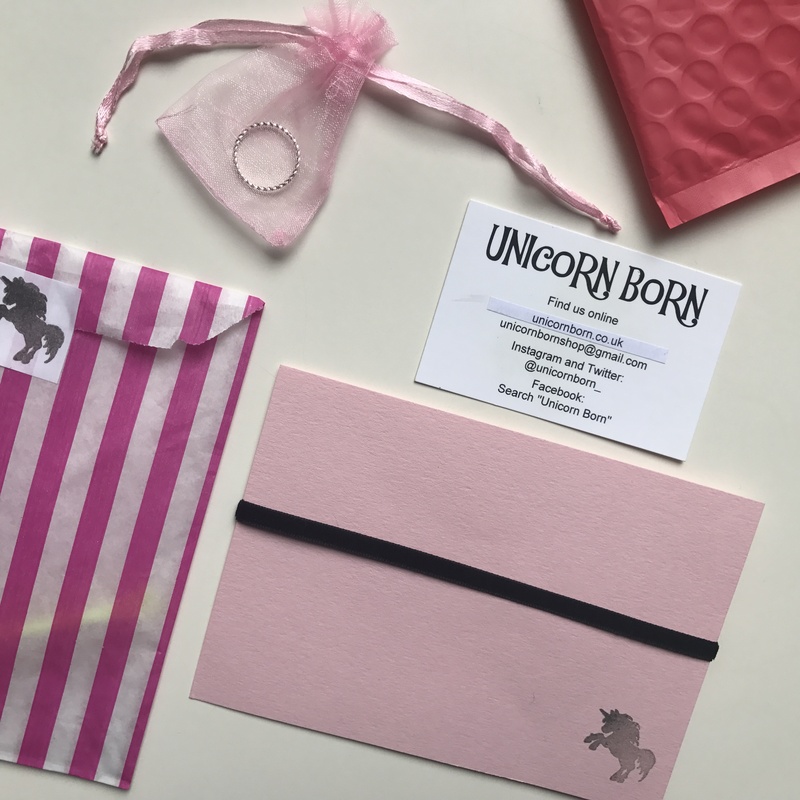 *Jewellery haul with Unicorn Born! 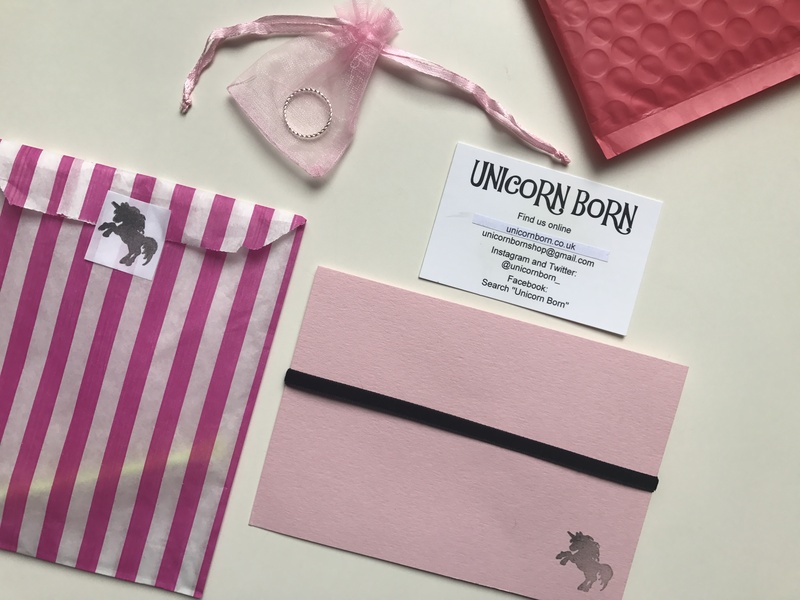 With my stereotypical obsession of unicorns I came into contact with the jewellery brand Unicorn Born owned by the lovely lady Fee and wanted all of you to see how unique her handmade jewellery is which makes it so special. The slim velvet choker caught my attention immediately as it was super thin which I love as it’s not too alarming and can add that 70’s vibe to any outfit no matter how you style it. Previously, with chokers I’ve bought they’ve ended up loose after a couple of times I’ve worn them and didn’t quite fit my neck how I’d wanted it. However, I wore this choker and it fitted perfectly, I’ll keep you updated whether or not it does loosen after a while. Another one of my personal favourites is the Twisted ring which is perfect for stacking if you love your rings like me. It’s such a good fit especially with other rings its super adorable and dainty. You can add either statement rings to spice it up a little or other rings similar to it to be more casual. It’s such good quality too, which I wasn’t quite expecting it to be if I’m honest. 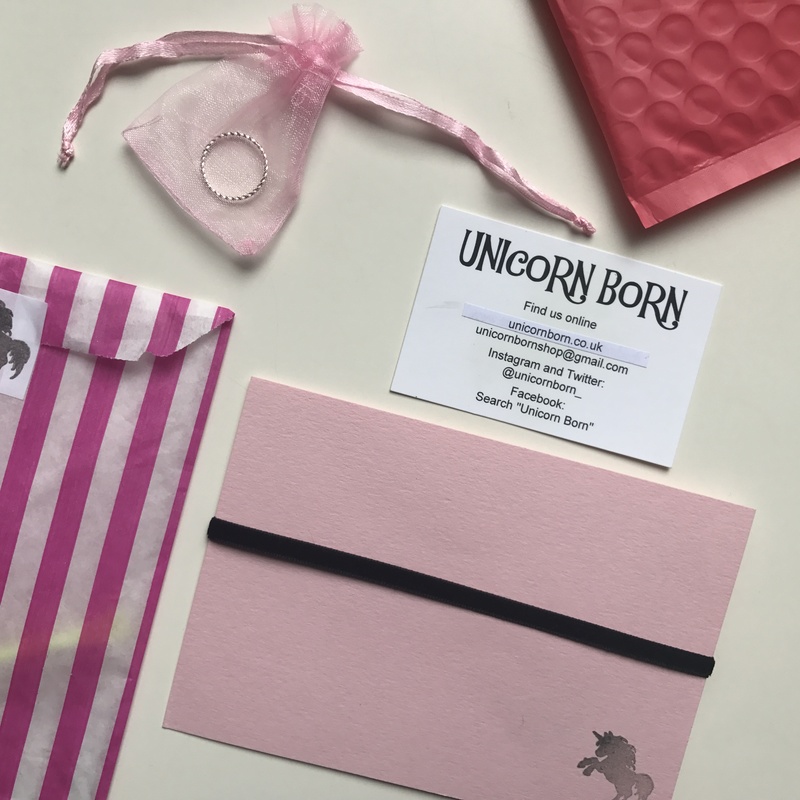 Unicorn Born have fast delivery and you receive all your items in the cutest packaging as you can see above so do head over and check it for more quirky handmade jewellery. What is your favourite jewellery item? Comment below. « Skincare products that I’ve been loving!